Mmm, micro-moments! 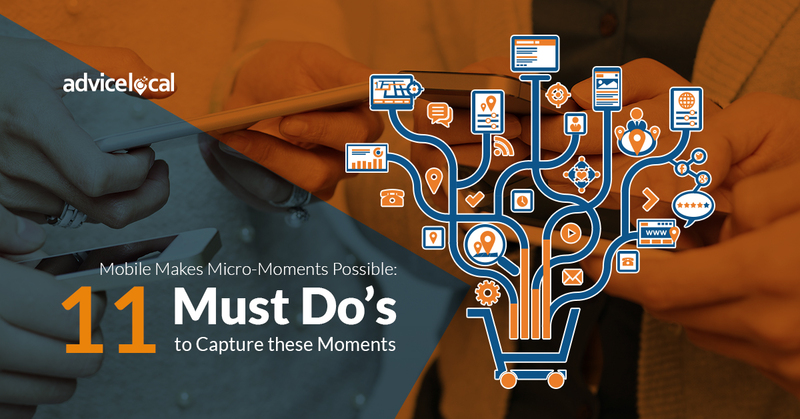 Mobile makes micro-moments possible. Think on this for just a moment. Did you want to pick up your phone to Google “micro-moments”? If yes, that was a micro-moment. 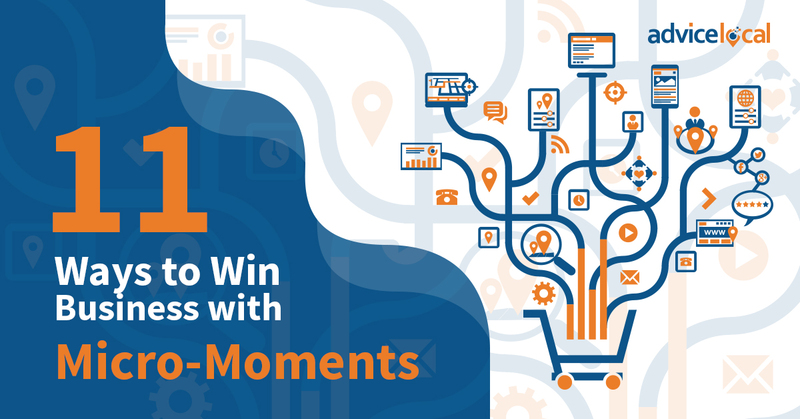 It’s important to understand these identifiable moments, leverage them, and reach people during their micro-moments. The growth of mobile has morphed behavior and expectations for consumers and brands alike. 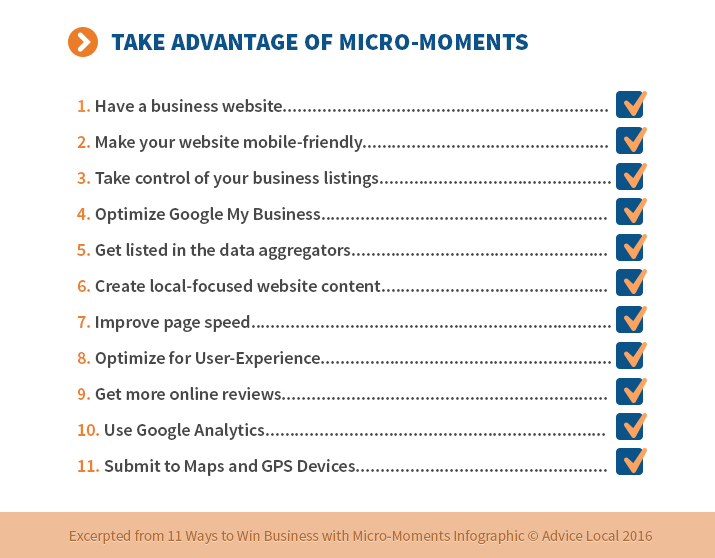 In this article, I will break down in detail the “11 Ways to Win with Business with Micro-Moments” infographic. This is a companion piece to a research paper, “Consumer Micro-Moments and Businesses: Trends & Best Practices.” Compiled by BIA/Kelsey, this research paper dives into understanding consumers and micro-moments, and ends with “Best-in-Class Local Presence Strategies” for businesses to start implementing right way. Simply put, a micro-moment happens whenever a person accesses a mobile device to learn something, do something, or buy something. 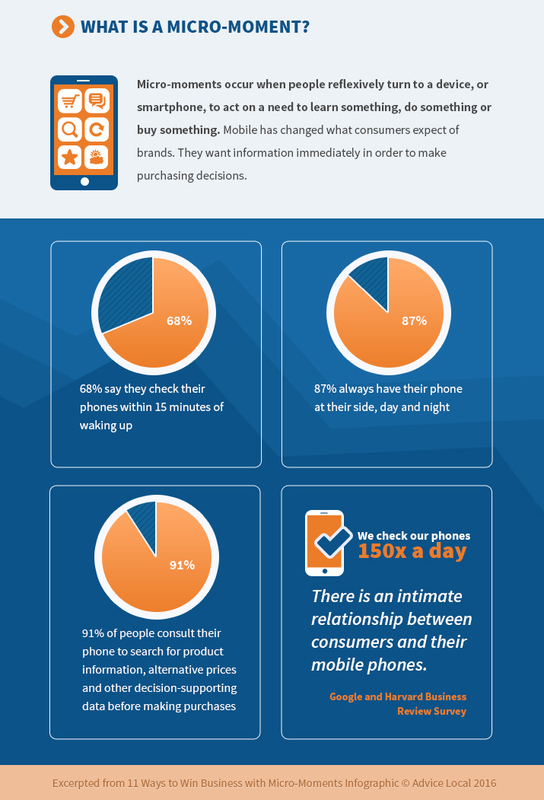 Digesting the above statistics is important for understanding the prevalence of mobile use and the resulting micro-moments. In micro-moments, people are seeking ready-to-consume satisfaction in the present, at the time of search, rather than delayed satisfaction a week from now. If micro-moments produced fruit, the micro-moment would serve up fully ripened, ready-to-eat deliciousness. This is what consumers are looking for and in today’s digital age, expect. It’s time to ramp up your knowledge and turn searchers into customers. 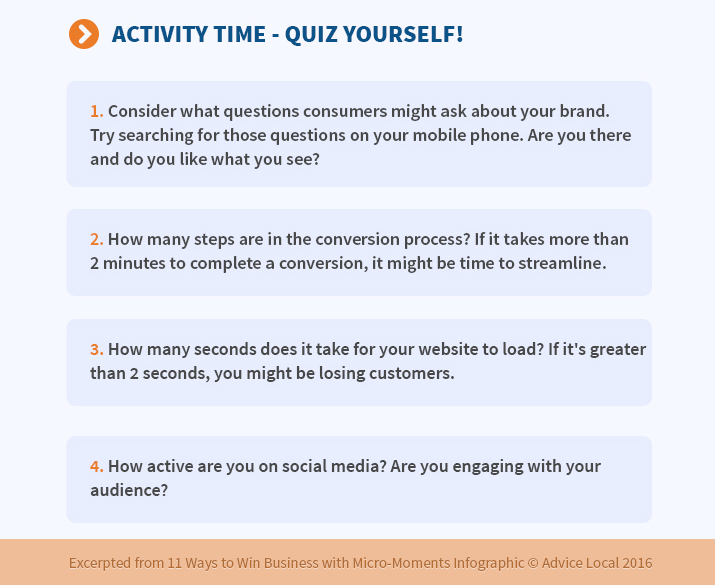 Use the following 11 tips to take advantage of the micro-moments that are happening constantly. Tips are laid out in order of importance. And sure, some could swap places but there’s no argument about the number one position: First of all, get that website. 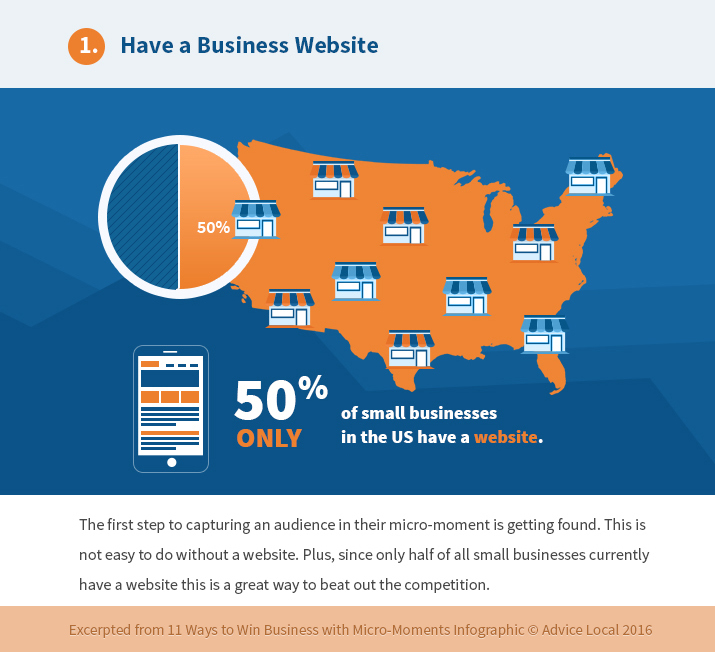 Do you find it hard to believe that only half of small businesses in the US have a website? I do too, but it is so. These website-free companies will more than likely remain invisible to people searching for immediate solutions and products during their daily micro-moments. Get a website, don’t be left out! Great—you either have a website or you’re going to get one ASAP, right? The growth of mobile dictates that websites must render well on phones and tablets, not just on the desktop. 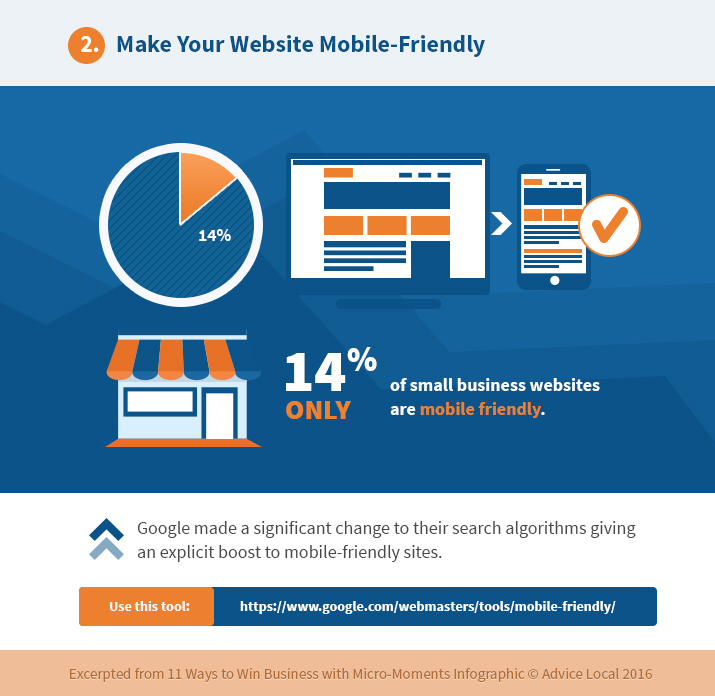 Since currently less than 15% of small businesses use a mobile-friendly structure, this is a great way for businesses to differentiate themselves from the competition. Google will be on your side during search, as it looks fondly upon mobile-friendly websites and displays them in mobile search results first in most cases. Here’s something from Google itself to assist you. 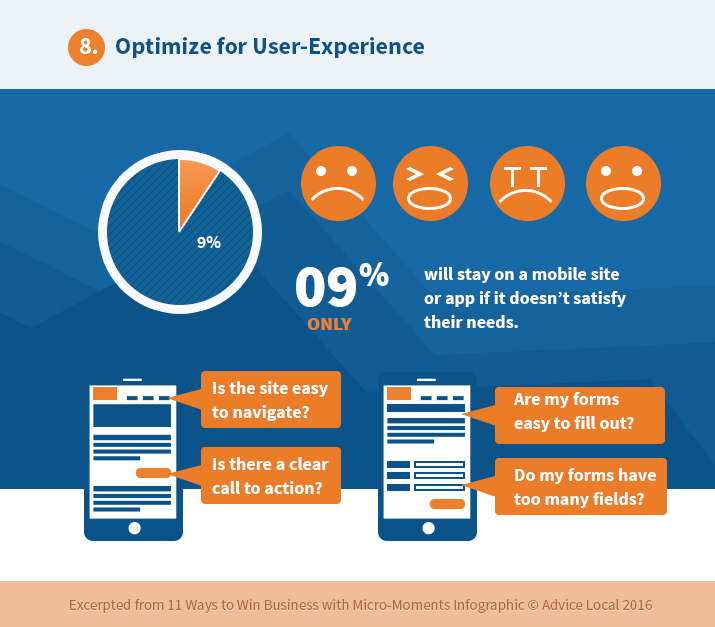 Click here to analyze your site (or anyone’s) for mobile-friendly qualities. You should feel as protective of your business’s NAP data (name, address, phone number) as you do your storefront, products, and reputation. 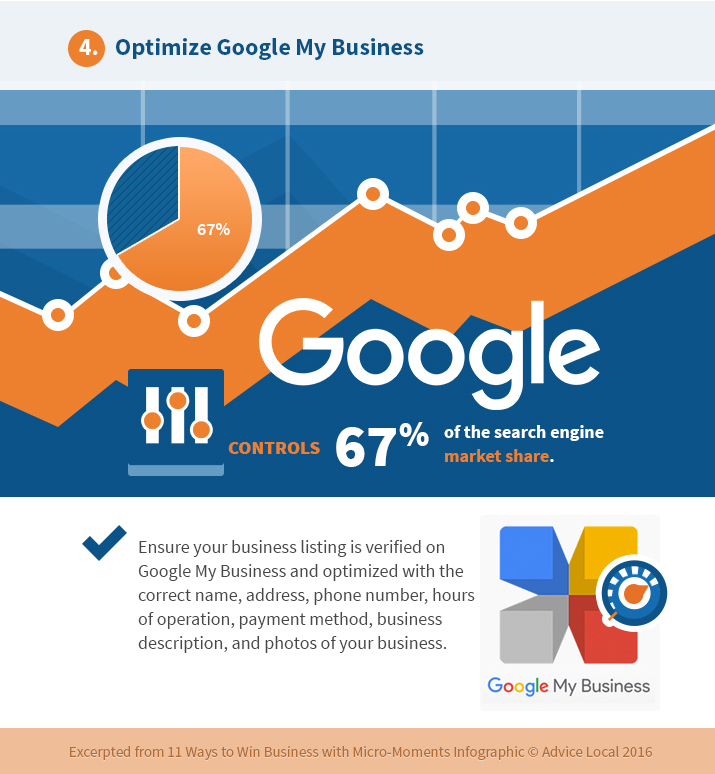 Incorrect data can exclude your business from a searcher’s plan of action. 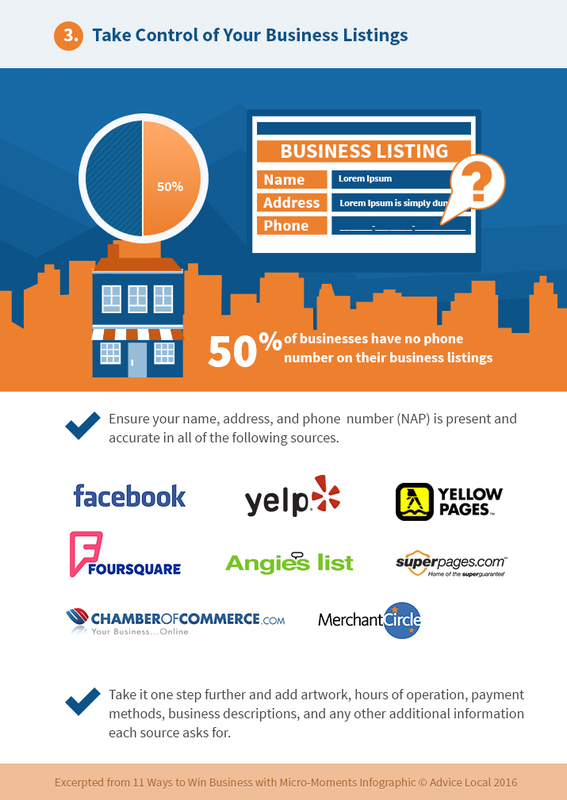 No business, big or small, should rely solely upon automated listing processes to get it right. 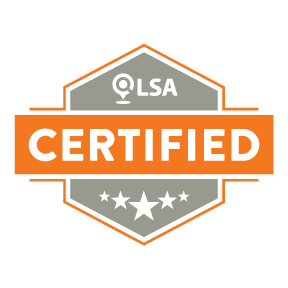 Be sure to check all citations (mentions of the business) online; ensure that all the information, including current hours of operation, product images where possible, and so on is entered and is accurate. 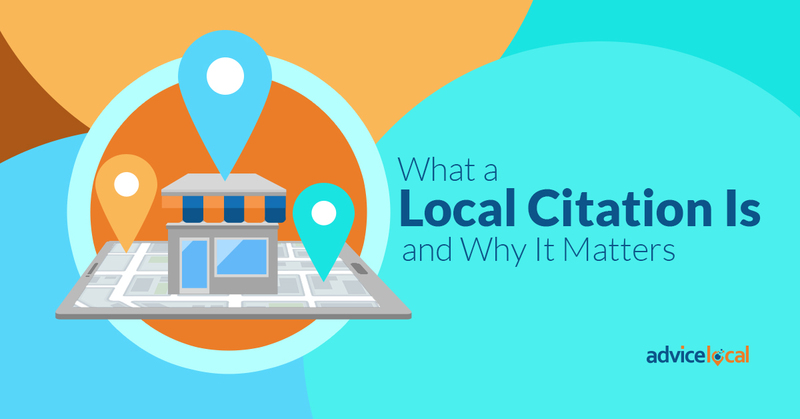 Here’s a complimentary eBook on how to audit a business’s citations (written by me) you can download and read to get you started. 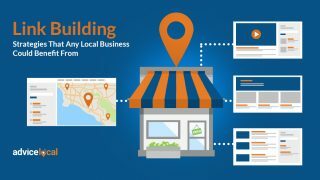 Do you use Google My Business? You should—Google controls 2/3’s of the search engine market. 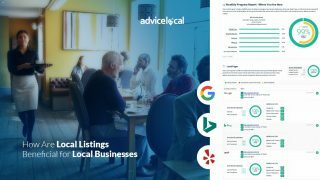 Google provides this tool for businesses & brands to manage their online presence across the Google product family, including Search and Maps. Get listed and ensure your NAP data is right-on. Be sure to upload images to your listing so you can avoid photo mishaps, like this one that appeared in map results for Bed, Bath and Beyond. 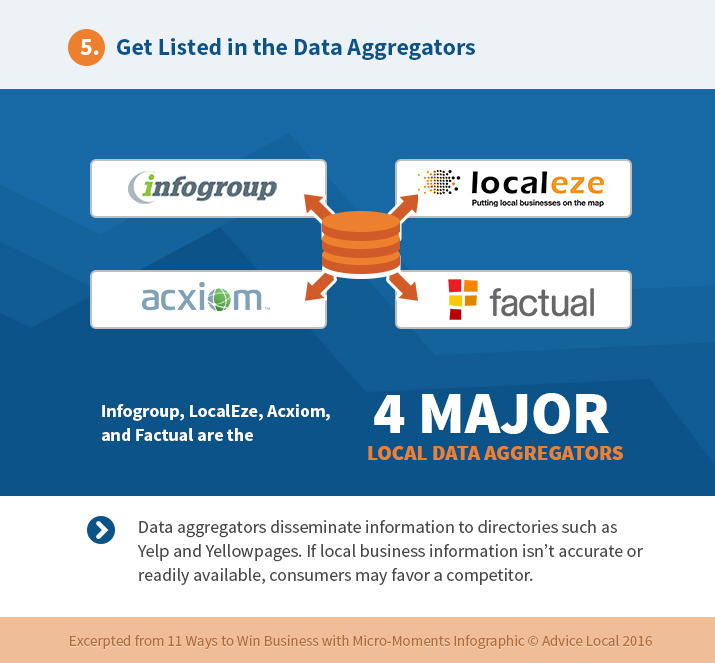 One of the easiest ways to get the information about your business or the businesses you represent onto the internet is to submit to the top data aggregators. These aggregators will then submit the information to other directory websites. 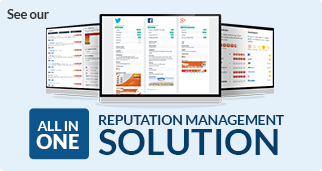 Accurate data ensures your business will be helped. Inaccurate info such as a previous address listed as current or an old phone number can hurt you. 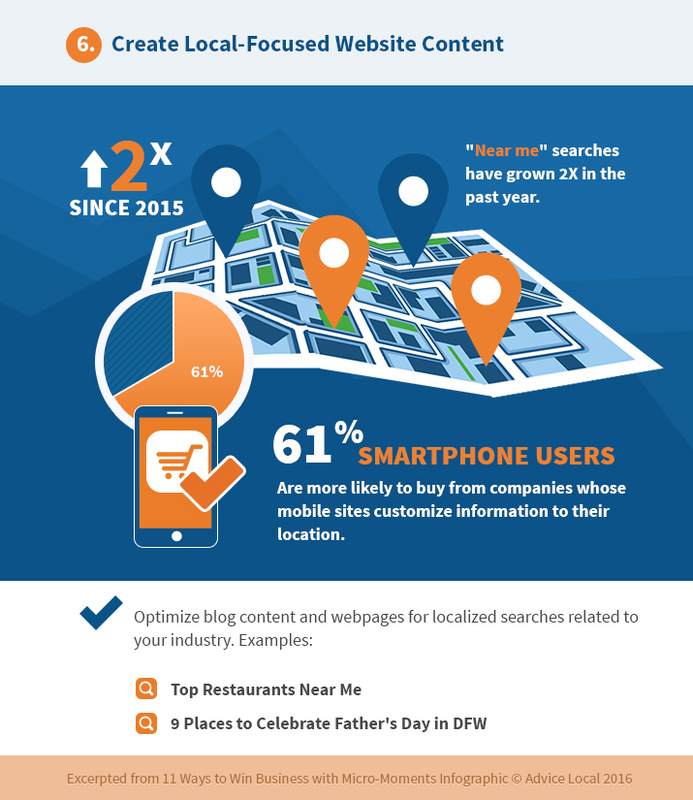 Local “near me” searches have exploded, doubling in the past year, and will continue to climb. 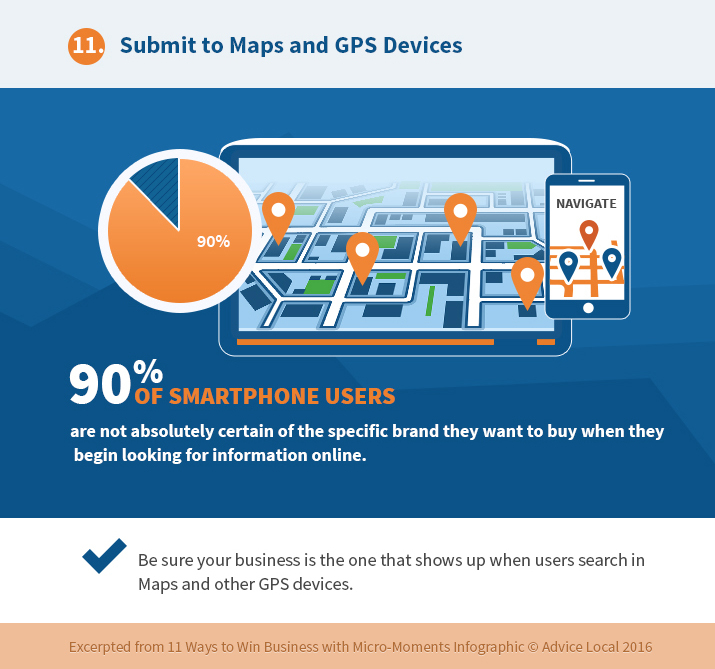 A majority of mobile users are likely to buy from businesses that are closest to their current location. 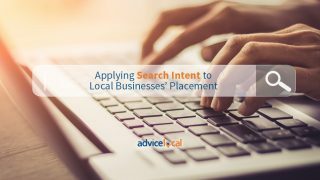 Take action to help these searchers by providing local content that will get your business found when they search in the moment. Admit it—you’ve left many a website because it was too slow! We all have; statistics show that over 2/3’s of us will leave because a page or site takes too long to load. 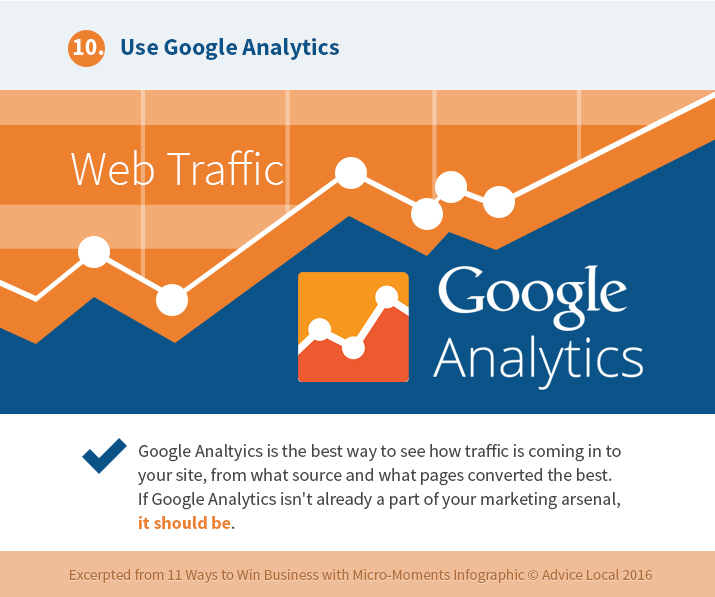 This is a great free tool from Google, PageSpeed Insights. 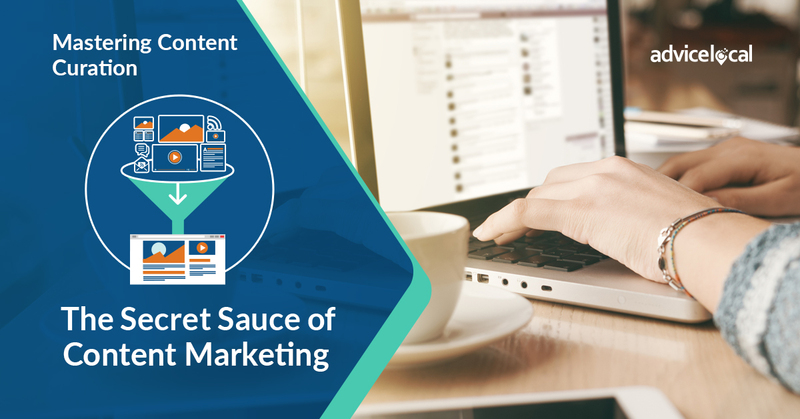 It will analyze the content and tell you how long it takes for pages to load. Importantly, it also generates suggestions to make pages load faster! 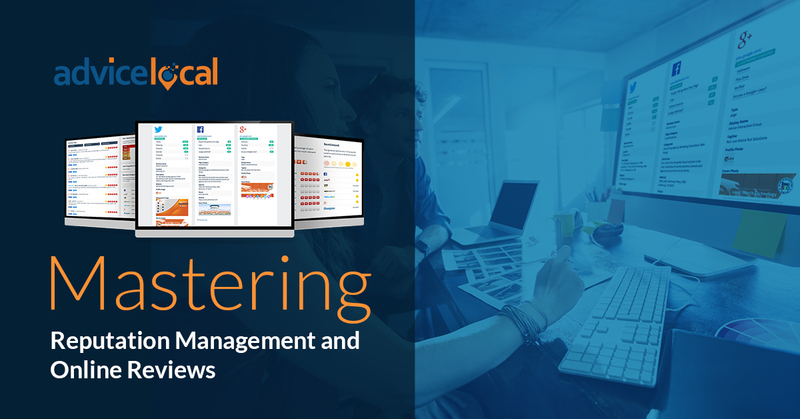 Go check it out and not just one time, but make it part of your regular process to audit how your website is performing. Speed is important but it’s not the only factor. If pages load quickly but navigation is clumsy, if there’s TMI—literally too much information required by form fields, or if it’s too complicated to make the purchase, people will bolt. 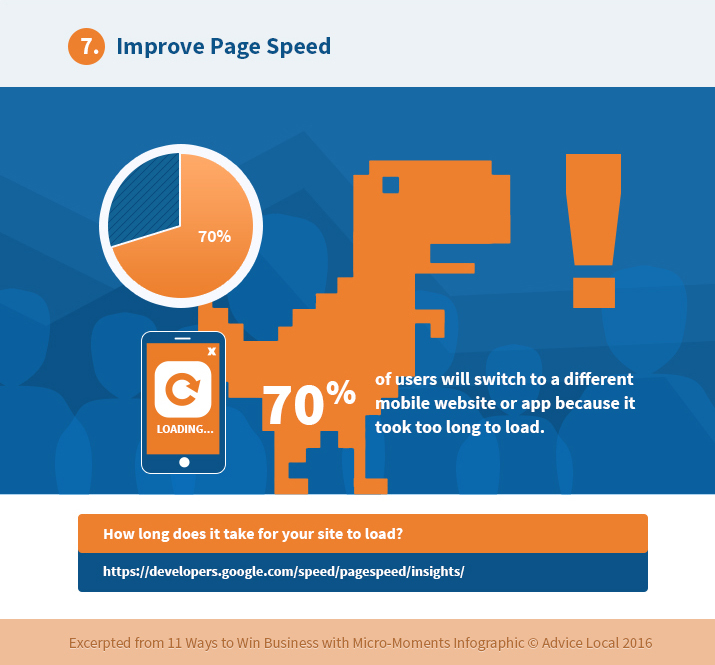 Statistics show that a very few super-patient users, less than 10 percent, will stay on a mobile site though it fails in some way to satisfy them. The other 90 percent of users have already clicked on to the next site to make their purchase, or get the answer or information they were seeking. I love reviews and so do consumers! 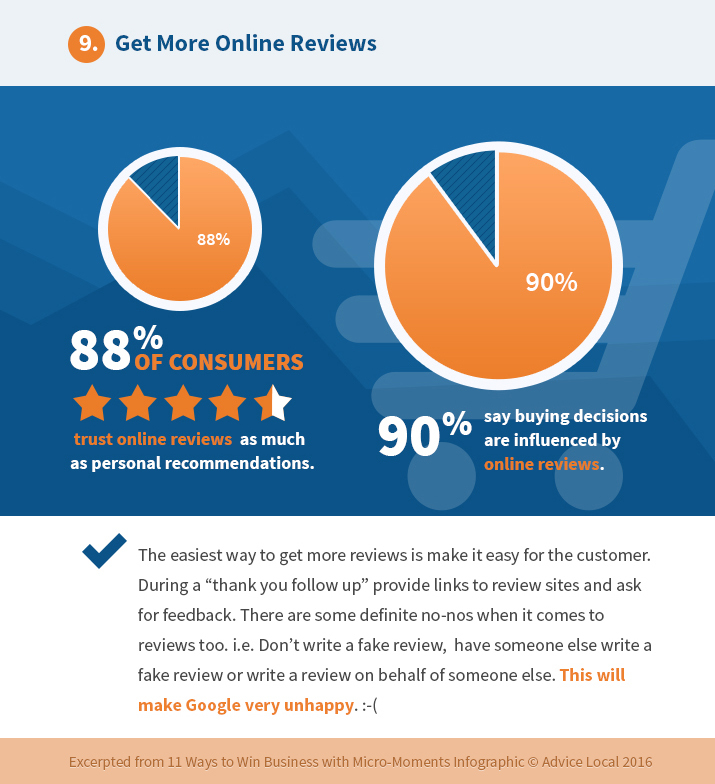 Look at this monster tidbit of knowledge: 88 percent of us put as much trust in an online review as a personal recommendation. Today, most of us are actively seeking online reviews and we trust them to guide our buying decisions. Make it easy for your customers to leave that review. Follow up with the customer, solicit feedback, and interact with them. Do you have a Google account? 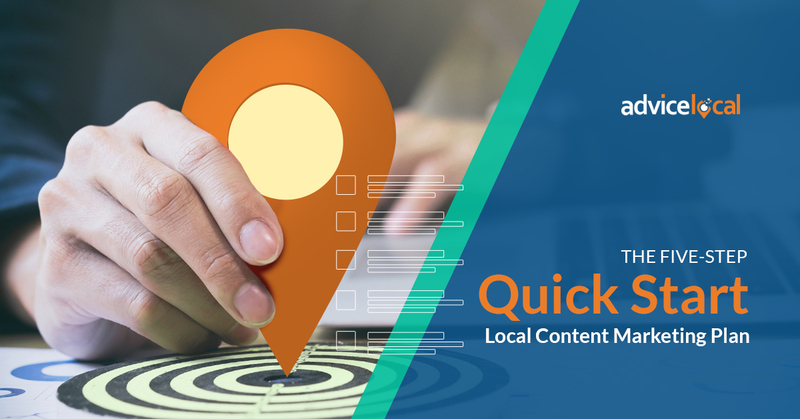 Then you have access to another free tool that will reveal important data, such as what website pages your visitors are clicking on, how long they stay on your website, how they got to your site in the first place, and where they are coming from location-wise! If you use Google AdWords, you can connect the AdWords and Analytics accounts. Linked together, these tools produce even more useful information. 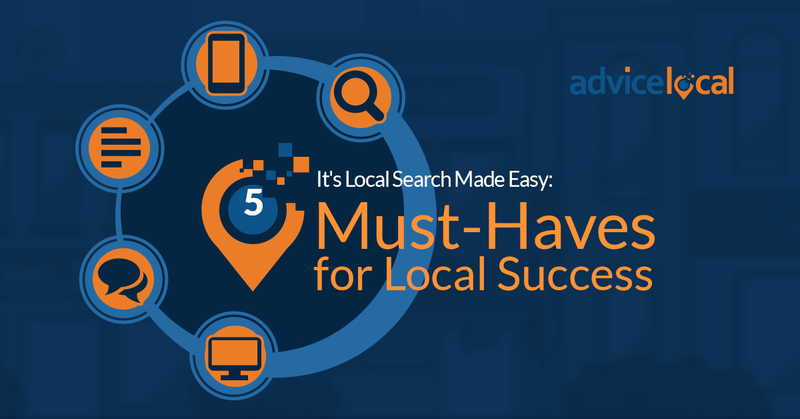 It’s true: businesses that cannot be found in local search results cannot be found by consumers. When a user determines that a visit to your location will solve their issue, that user must also have your accurate map & GPS info, so don’t slide on this. Here’s a fun video example of when three fans tried to meet with #AlexFromTarget and they kept getting bad directions from a Google My Business listing. Now that you’ve absorbed these important tips, run through the quiz and hopefully did a little thinking, what’s next? Comment below and let’s discuss.